I was just at the Willingdon Costco in Burnaby. 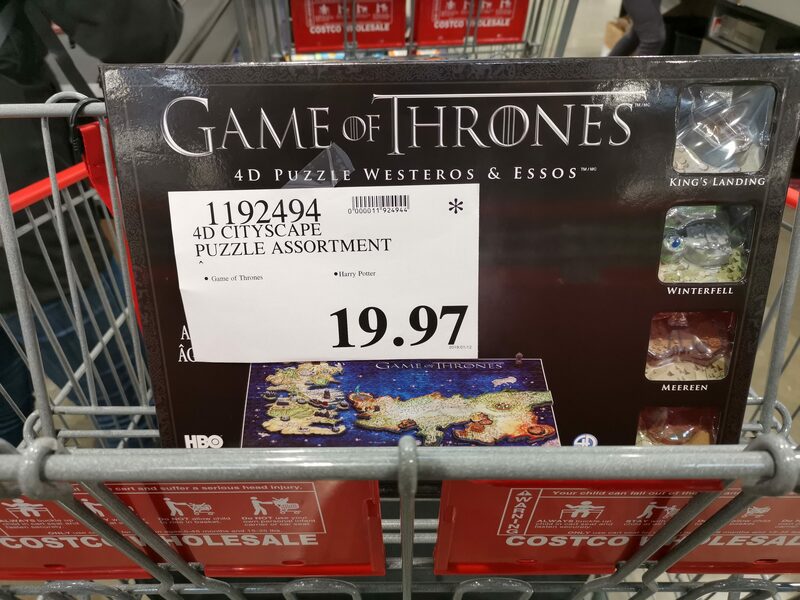 Game of Thrones 4D puzzle are on clearance for $19.97. in remember these were around $50 regular price at Costco. Had two left when I grabbed one. As with all Costco clearance items, it's YMMV. Regular price was $29.99 before Christmas.